Keno is a classic lottery-style game, and you can learn to play it in just a few minutes if you understand what all of your options are. The Keno game here is based on a simple premise. You get to choose anywhere from 1 to 15 numbers on a grid of 80. Then, a total of 15 numbers are chosen at random from the 80 numbers on the grid. Depending on how many numbers you picked correctly, you can win payouts. It's an easy game to learn that's based on classic lottery styles, but there's surprisingly a lot to learn if you want to maximize your experience. 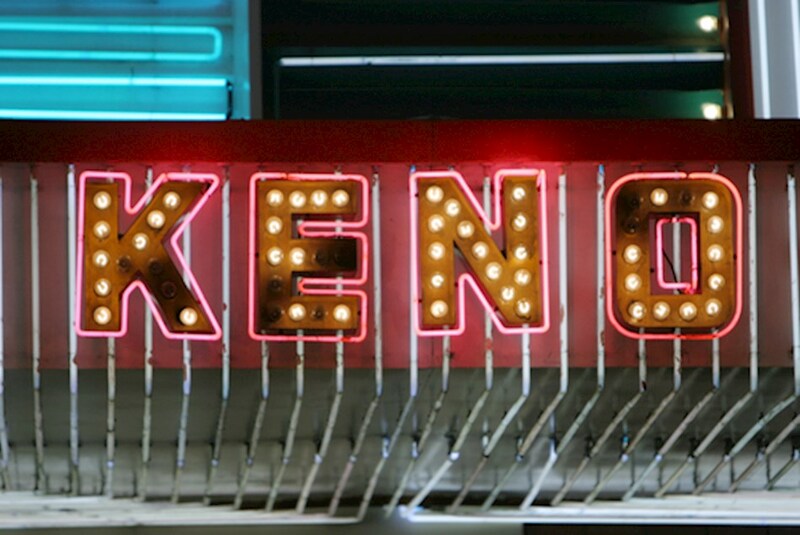 There are two terms that you need to learn if you want to get the most out of your Keno play time. The first is payout rate, and that's the average return on your bets that you'll get. In this game, the payout rate changes based on the number of spots that you choose. The worst options, starting from the lowest payout rate, are pick 1, pick 13, pick 6 and pick 3. The best options, starting from the highest payout rate, are pick 11, pick 10, pick 14 and pick 8 (these last two are tied with the same payout rate on average). Obviously, you'd rather go with the latter four options than the first four listed. The second term you need to learn is volatility.In short, it's better to hit more often than it is to hit less often, so knowing your chances of hitting a win are important. Notable options are the pick 1, pick 3, pick 4, pick 6 and pick 14, all of which hit a win more than 10 percent of the time. If you want the best of both worlds, you'll go with the pick 14, which is a balanced option with a pretty high payout rate and a pretty high hit-rate in terms of the percentage of the time you'll score a win. With the strategic considerations out of the way, you can deal with the actual betting options. You click on the 80-number grid to pick the numbers you want, and the pay table for that number of picks will appear on the left side of the screen. If you play pick 14, like we recommend above, you'll see the top payouts of 25,000x for 12, 50,000x for 13 and 100,000x for 14. You also get to choose from different bet sizes. The wager sizes start at $0.01 and go up to $10 per play. If you choose the pick 14, we recommend playing at the $1 level or lower since there's a maximum payout of $250,000 for a single win in this game, and the next highest level is $5, which effectively cuts the highest payout for hitting all 14 numbers in half. This obviously hurts your payout rate. Overall, Keno is a classic game, and the version that's offered at this online casino gives you plenty of customization options in your betting and the size of your wager.